A traditional variety and one of the few tall varieties still available. Still grown all over the country since few varieties crop so well. 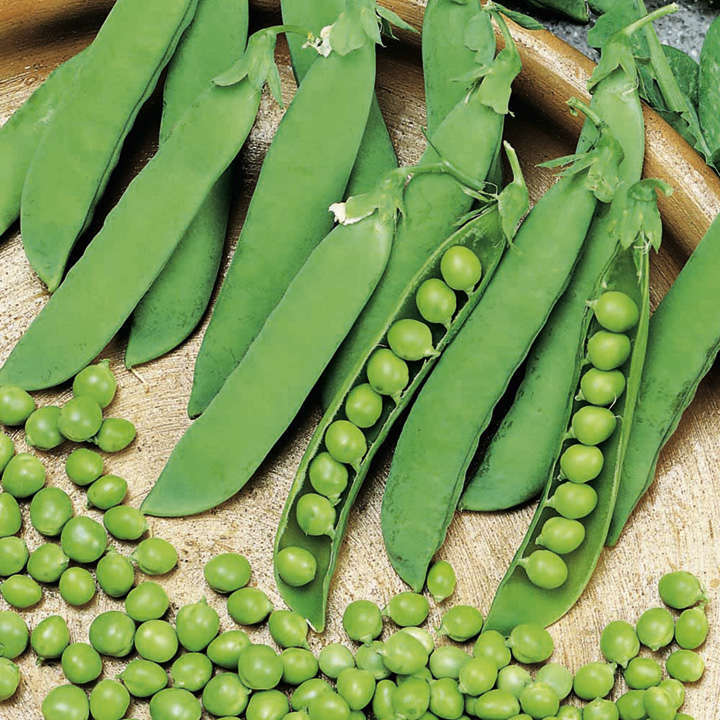 The long, thick pods often contain 11 large peas of excellent flavour. Height 1.5-1.8m (5-6'). Recommended for deep freezing and exhibition. Maincrop/Late Peas - usually ready 14-16 weeks after sowing. Sow outdoors from March 5cm (2") deep, approximately 20 seeds per 30cm (12"), in drills 15-20cm (6-8") wide, with 60-90cm (2-3') between rows. For exact information see packets. Harvest June-onwards.